Technology is disrupting whole industries and changing the way we do many things. It has leveled barriers in communication and resulted in a saturation of information. We believe that the rapid changes in business communications tools should focus on supporting productivity, flexibility and transparency. Productivity because this directly affects your bottom line. Flexibility because with the new way we work and live, work is no longer defined as somewhere we go, but as something that we do. And transparency because the org chart has grown flatter and employees need access to information directly rather than having to delay service delivery to customers who can choose another vendor at the click of a mouse. For modern IT managers, meeting the expectations of clients and employees within strict budgetary guidelines can be challenging. Few companies can rely on just plain old telephone (POTs) lines and email accounts anymore. Voice-over-IP telephony (VoIP), cloud-based applications, and teleconferencing have become increasingly common ways for businesses to drive cost savings and productivity in the enterprise. By adopting unified communications tools, your organization could realize remarkable transformation in the ways you work and communicate. In this blog post, you'll learn about some of the potential business benefits of leveraging unified communication tools. What Are Unified Communication Tools? Smartphones, tablets, and wireless internet technologies have transformed "work" from a place to an activity. If your organization is considering implementing more employee mobility and work-from-home options, unified communications tools could be at the core of your strategy. VoIP telephony, cloud-based business applications, and teleconferencing tools can support continuous communications and productivity, no matter where in the world your staff is working. While mobility can benefit your brand, it may matter more to your talent than you think. The International Data Corporation (IDC) anticipates that by 2020, mobile workers will account for nearly 75% of the U.S. workforce. In a tight talent market, using unified communications tools to build a mobile workplace can be a competitive advantage for recruitment and retention. 20% of modern workers would take a pay cut in order to have flexible workplace arrangements and better work-life balance. An additional 20% of talented job candidates may develop a negative perception of a potential employer if they aren't mobile-optimized. 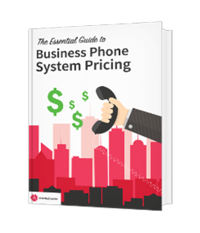 Unified business communications tools carry the obvious benefit of simpler pricing structures. By bundling VoIP, data, storage, and other services with a single vendor, companies can achieve immediate cost reduction in monthly recurring fees. Cutting-edge UC tools allow businesses to foster better collaboration between employees, management, clients, vendors, and shareholders. UC can reduce the risk of communication breakdowns due to missed voicemails, overloaded email inboxes, or other common issues. With voicemail-to-email transcription and mobility integration with your PBX, your stakeholders can remain connected from any location in the world. Your employees' ability to apply your UC tools in productive ways could surprise you. 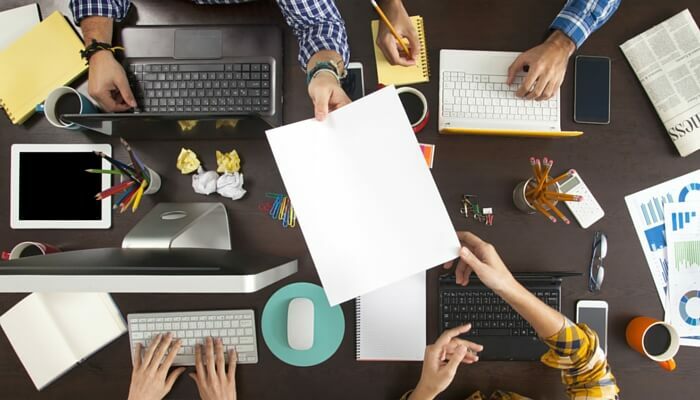 Web conferencing tools can allow for in-office creativity, including screensharing to quickly collaborate on products or work through tough ideas. Customer service has become "customer experience management." Instead of solely relying on contact centers, today's clients may seek information and resolution through email, chat, self-serve information portals, or other tools. i-SCOOP writes that a unified customer experience is about "keeping promises." Your customers should feel like they're interacting with the same brand, regardless of channel. If your customers call your contact center after three attempts to reach resolution via email, having their prior messages in a centralized location can be crucial to providing an adequate customer experience. Unified communications tools are critical for multi-channel customer service offerings. It allows transparency in customer interactions, so your representatives can view a customer's history. Even if your organization is very large or offers multiple methods of customer service, unified communications tools can provide a small business feel. By centralizing communications in a cloud-based CRM or another tool, you can ensure that nothing is lost or kept in data silos. By making the switch from traditional communications tools to unified business communications, organizations can achieve a host of benefits, including cost savings and higher stakeholder satisfaction. In addition to cost savings from bundling services through a trusted vendor, you can appreciate higher productivity, better customer satisfaction, and improved mobility. As organizations develop innovative approaches to better customer experience management, a full suite of communication tools can play a central role in this strategy. Atlantech Online helps businesses of all sizes drive satisfaction and cost savings through bundling business communications. For more information on Atlantech's unified business communication tool offerings, including fiber-optic internet connectivity, VoIP, and data center, click here to speak with an expert representative.